. @MBuhari It is CALLOUS for any Leadership to NEVER feel the pains that tragedies bring the way of a people. Can your FG @AsoRock signal to the Nigerian Public that #NigerianCitizensLivesMatter? I recall our public outrage when during the previous administration, then President rather than acknowledge deaths in a bomb blast tragedy was busy at a Campaign Ground. This FG of Pres @MBuhari NOW REPEATS SAME with our 26 girls that drowned in Mediterranean Sea. What Changed?? Dear Oby, the real wolves are in power today. Besides the 26 women are not whites. Southern Nigeria and Christians do not really matter to president Buhari. Lives of the Poor dont matter in Nigeria. It is unresionable to be blaming President for individual woe. Our people are not cultured at all, although how you talk depends on the tribes you come from, your level of understanding, your level of education. Some talk from grievances, while some talk from wisdom. It is in Nigeria citizens talk to their leader anyhow. Most of the people that are condemning the leaders or president can not govern their home, many of them have broken home. Well, it is better for us to move Nigeria forward, let us stop condemning our leads. Tahhhhhhh!!! Who is he that we won’t talk to anyhow? Does he respect us? yet he wants respect. Do you know he’s elected to office to serve us and make things good for the citizens? But he travels the world and ignores us and you’re talking about being cultured. Ehn the ones talking cannot manage their homes, but did they sign up to manage millions of people? No, they stayed in their lane and did not run for office. I for see lots of bloodshed in 2019 because obviously people are tired this kind of governance but this particular government isn’t ready to stop looking anytime soon. Tis callous to remain calm in the face of callous disregard to all serious warnings and obvious dangers of undertaking senseless and suicidal adventures. I remember the president quickly issuing statements of condolence to the governments of Germany and Britain shortly after terrorist attacks against those countries. I see American presidents show grave concern when their citizens are killed abroad. What does it take our president to do the same for his citizens? Is that the victims may not be from his ethnic group, or belong to his religion? I’m just asking. 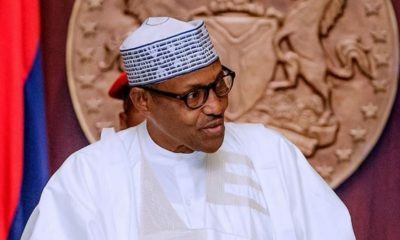 what has President Muhamodu Buhari got to do with their deaths? The twenty six dead Nigerians deserved exactly what came their way. I really hope and pray other Nigerians with such ambitions will learn from their mistakes. Professor Obi add this to your cause. Educate the likes of the deceased still in Nigeria, If anyone wants to travel overseas, Please do so legally. By applying for a Visa through the embassy of the country you want to go. A word is enough for the wise. I’m just saying.